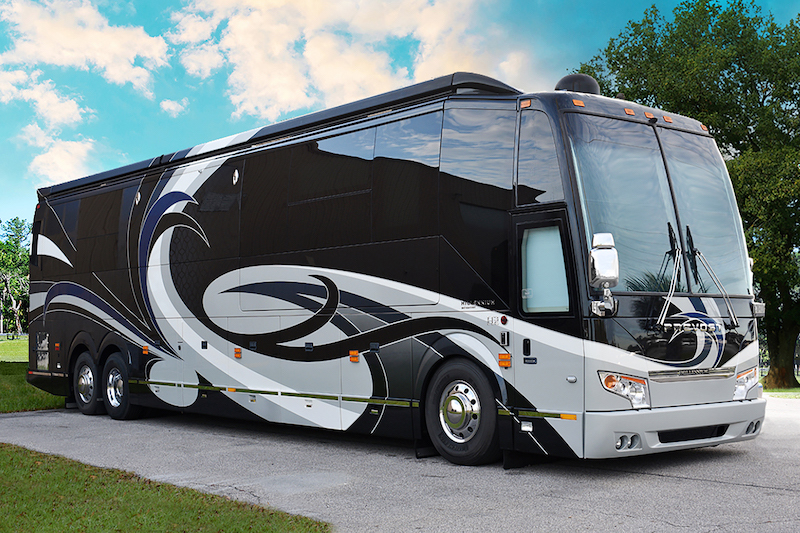 This Coach Turns Heads From The Moment You Spot It In The Distance. It’s Elegant Beauty On Display In Brilliant Blue Makes You Anticipate What Lies Beneath The Stunning Exterior. 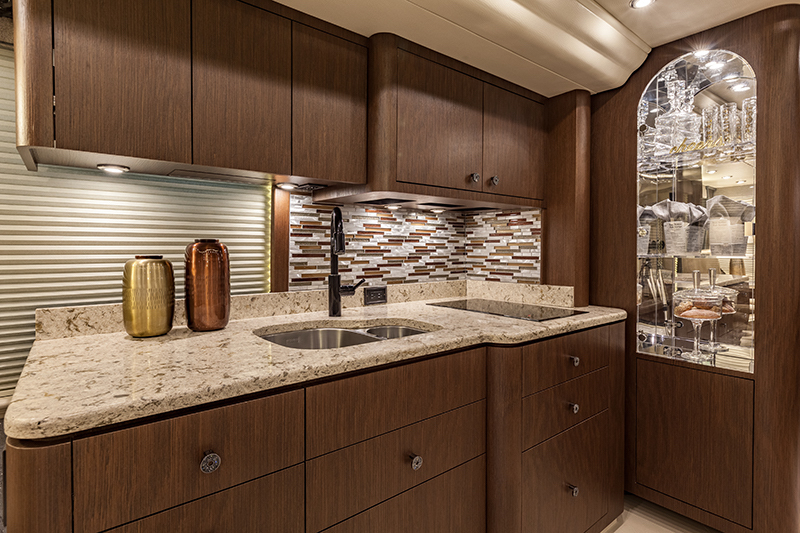 Once Inside, The Warm Earth Tones Of The Cabinetry And Interior Let You Know That You Are Home. 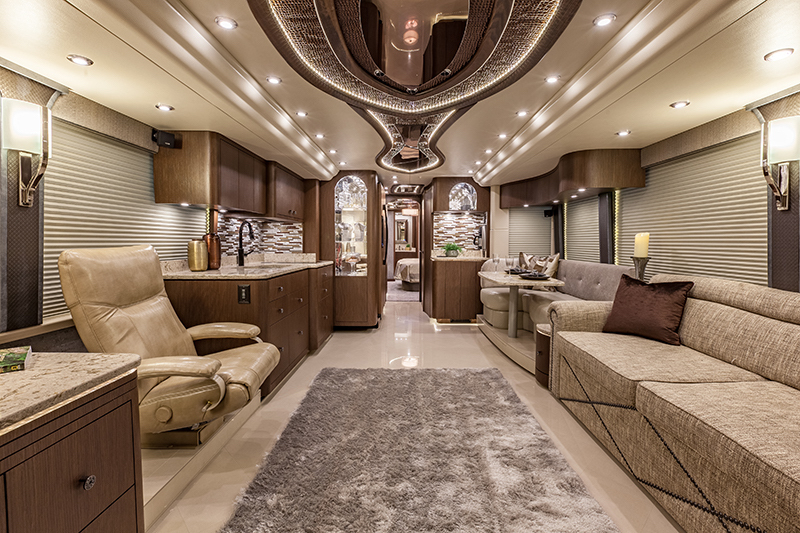 With A Bath And A Half Floorplan And A Couch That Opens Into A Queen Sized Bed, You Will Have Plenty Of Room To Stretch Out And Enjoy Life On The Road. Every Detail Is Filled With Luxurious Elegance From The Quartz Countertops To Hand Made Swarovski Crystal Drawer Pulls And Knobs. This Coach Is Not Just Another Pretty Face. 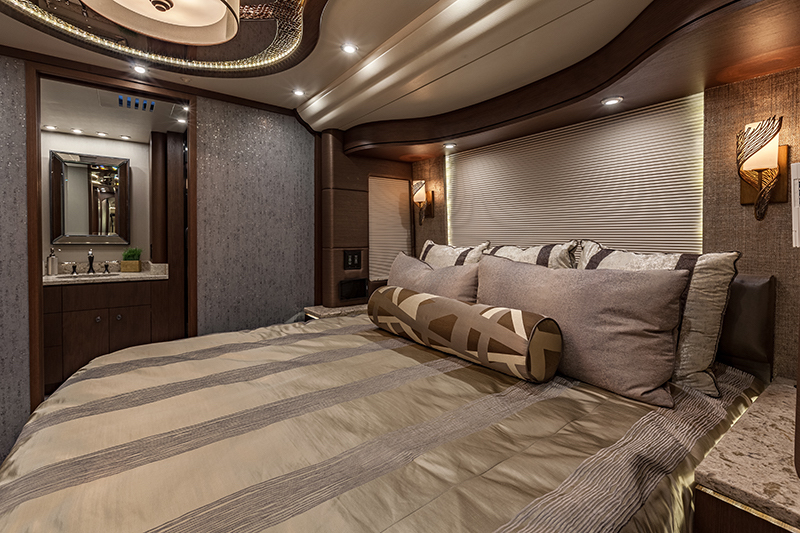 It Is Equipped With The Savant Systems Custom Interface And Lutron Homeworks Automation System, Allowing You To Operate And Monitor Every System From Any Of The Four Ipads On Board. 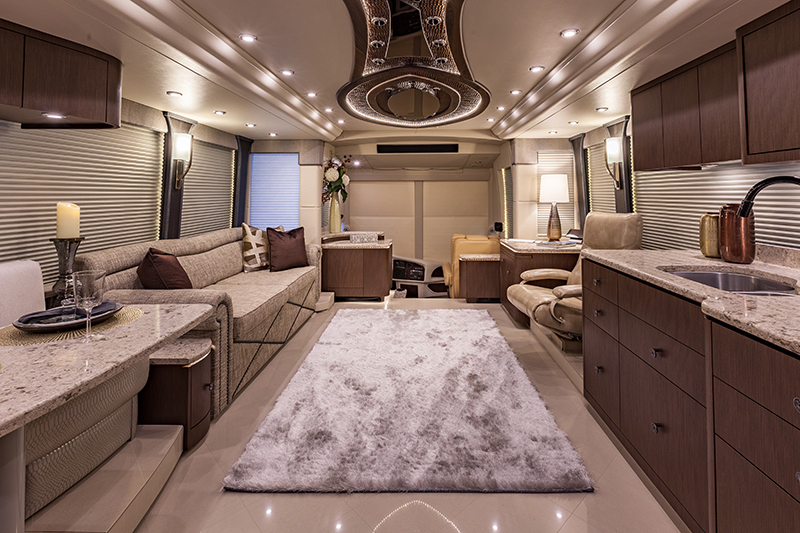 This Coach Has Been Designed To Be Easy To Use, And Appealing To Look At. Power, Beauty, Function And Precision.